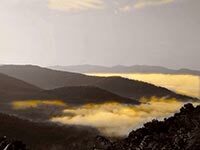 Surrounded by the beauty of majestic mountains, Asheville is every alternative traveller’s dream. Lately, Asheville has been getting the attention of major travel magazines, and it’s not hard to see why. This small city combines Southern charm with a vibrant artsy scene that provides experimental music, art, and performances. Downtown hosts drum circles every Friday, and there are always a wide array of shops, bookstores, and cafes to choose from. As if that weren’t enough, the city also boasts the most breweries per capita in the entire nation, a range of absolutely delightful farm-to-table restaurants, and a literary past that includes the likes of Thomas Wolfe. 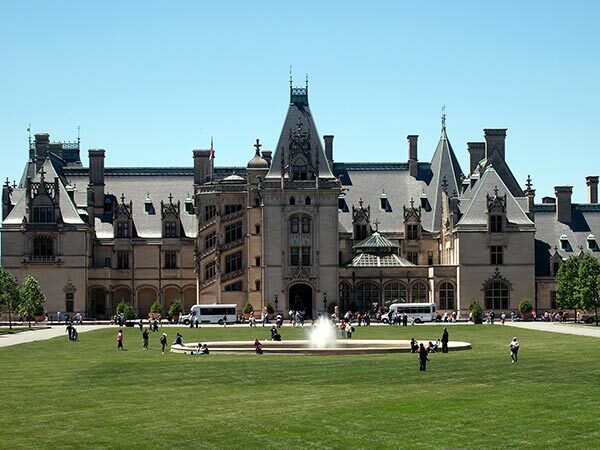 To make Asheville even more appealing, the city is an epicenter for outdoor activities. 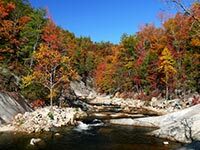 With the Appalachian Trail and the Blue Ridge Mountains at its doorstep, it is a haven for biking, trekking, hiking, and camping. Live the grandeur of the Gilded Age at America’s largest privately owned house. Commissioned by George Vanderbilt and finished in 1889, the Biltmore Estate is without a doubt one of the most impressive in the country. The manor is built in French Renaissance style, calling to life the architecture of the “Old Continent.” With 250 rooms and 8,000 acres of gardens and trails, it is almost impossible to be unimpressed. With time, the Biltmore has partaken in several transformations. A good part of its original 125,000 acres were sold and now compose Pisgah National Forest. Inns and hotels have been built and operate on the property, and, perhaps most importantly, there is now a wine cellar that visitors can tour freely. Besides tours of the house, there are several activities offered, including horseback riding and paddle boarding when the season is appropriate. where? The estate is located about 3 miles south of Downtown. The best way to visit is by car, since it will allow you to easily get from one part of the estate to another. There are shuttle services offered from the parking lot to the house, and from the house to the Conservatory, though the later are only available seasonably. However, there are no services between the house and the winery. If you are arriving by bus, take lines S1 or S5 to Lodge St. at Biltmore Ave.
when? 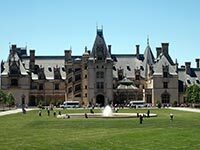 The Biltmore is open every day of the year but hours of operation vary by season and by the part of the estate that you wish to visit. From March 20 to May 25 2017, the admissions gate will operate from 8:30am to 6:30pm. It is advisable for visitors to check the official page to confirm the hours for the dates they wish to visit. Additionally, visitors should keep in mind that reservations are required during certain dates (also listed on the page). £$€¥ When purchased a week in advanced, adult admission prices range from $40-$65. If purchased later, the cost rises an additional $10. Children ages 10-16 are admitted for half the price, and children under 9 do not have to pay at all. Take in the beauty of nature in this magnificent and massive national forest. 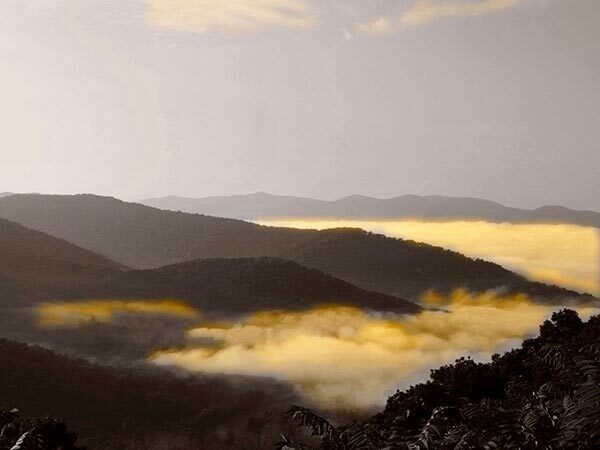 Much of the breathtaking beauty of Asheville lies in the nature that engulfs it. Established in 1916 with 86,700 acres bought from the Biltmore Estate, the Pisgah National Forest is one of the gems of the region. 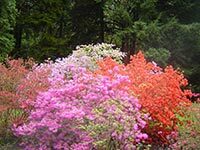 The forest expands for more than 500,000 acres and includes parts of the Appalachian Mountains and the Blue Ridge Mountains. 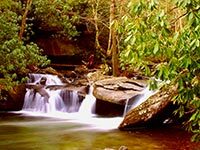 It consists largely of hardwood forest, and is known for its numerous waterfalls and peaks, which include the impressive Mount Mitchell. There is no shortage of activities available. Some of the most popular include hiking, trekking, and biking through the hundreds of miles of trails. People also enjoy horseback riding, rock climbing, hunting, and camping. 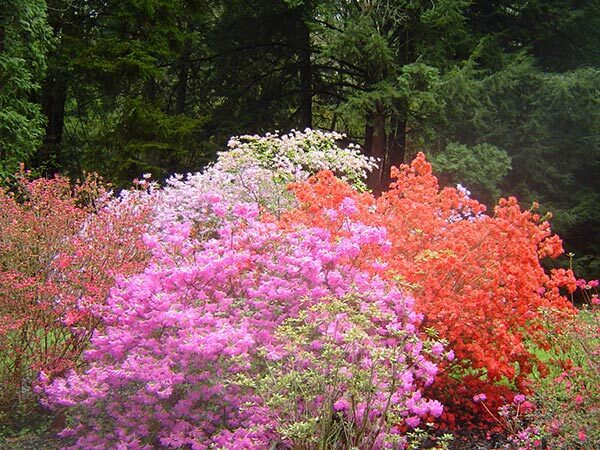 With the diversity of landscapes that are always in their absolute glory, it attracts thousands of visitors year-round. where? The only way to reach Pisgah National Forest is by car, as it is 40 miles from Downtown Asheville and is not serviced by public transit. The route that you take depends largely on what part of the forest you wish to visit, and the activities you wish to partake in. when? Generally, the national forest operates year-round. However, certain areas might be closed off during certain seasons, or as the result of natural occurrences like heavy rains. When planning your visit, go to the National Forest Service website to check any updates. £$€¥ Most activities in the national forest are free of charge. You will need a camping permit to camp overnight. Fees vary by campground, but are generally between $20 and $60. 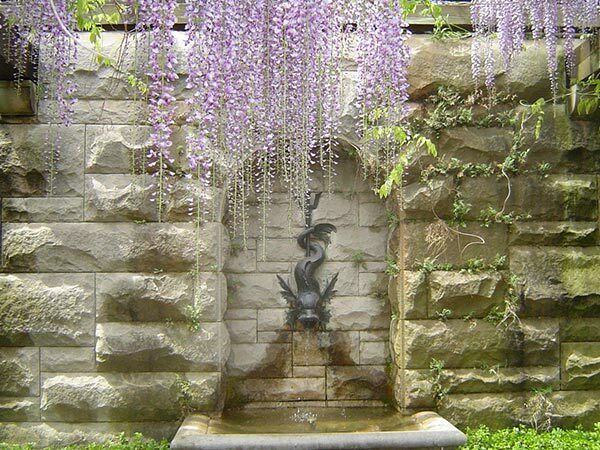 Walk through this outdoor museum that takes you on a tour through Asheville’s history. Most cities have their history confined to the curated walls of museums. Asheville, however, is not your typical city, so it has decided to bring history outdoors. The Urban Trail is 1.7 miles long and takes people through 30 stops, each one exemplifying an important moment or person in the history of the city. The self-guided tour is divided into 5 time periods, starting with the Gilded Age and going all the way through the Age of Diversity, our present time. Visitors and locals love walking along the Urban Trail, as it is a great way to get to know the city’s Downtown. 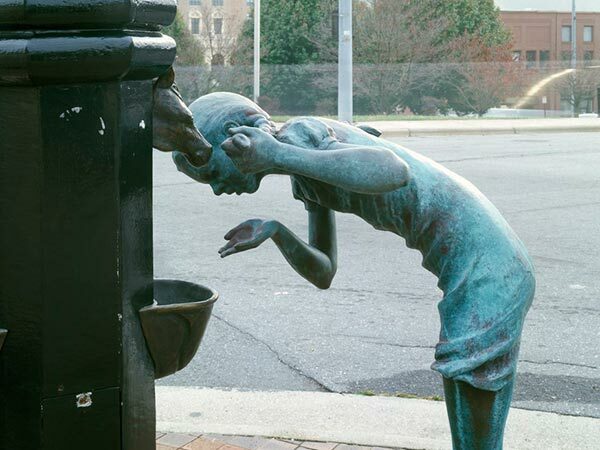 Each stop is marked by a unique public sculpture, so there are countless photo opportunities. The trail can be done in an hour, but given the high chances that you’ll stop to buy souvenirs at a local store or to freshen up with a local brew, it’ll most likely take longer. where? The Urban Trail goes around Downtown Asheville. It starts and ends at Pack Square, and is done by foot. when? The best thing about an outdoor museum is that there are no specific hours to restrict your enjoyment. 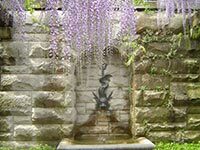 Of course, the plaques and sculptures are best appreciated in the daytime, and the tour itself is best suited for nice days when there is little chance of rain. £$€¥ Since all aspects of the Urban Trail are public and outdoors, it is completely free. However, as you will be walking around Downtown, you might be tempted to spend money at several of the locations you visit. 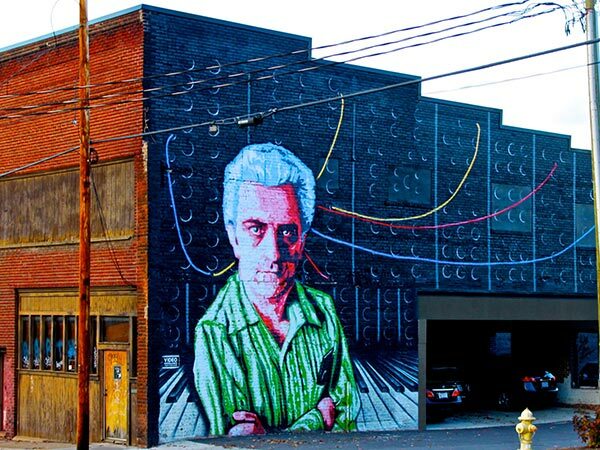 This colourful district is the heart and soul of the Asheville arts scene. Located close to the French Broad River, this district was once more industrial than anything. Over time, the industrial and historical buildings were taken over and re-appropriated by the flock of artists who swarmed into Asheville looking for beautiful scenery. It was in this way that the River Arts District was born, and how it has become one of the most interesting parts of the city. Stretching for a mile, warehouses and historical buildings are now turned into studios for more than 200 artists who specialize in everything from oil painting to crafts. Art lovers and curious visitors are always welcome to come and walk around. Most studios are open throughout the year, and artists are usually happy to showcase and talk about their work. where? The district is located west of Downtown. To get there on public transportation, take buses W1 or W2 to the Clingman Ave at RAD/Roberts St stop. when? The best time to visit the district is during the daytime on a weekday. This is when most studios are open, as many artists give themselves the weekend off. To learn more about the different artists and studios, head to the district’s official website. £$€¥ There is no cost associated with visiting the River Arts District. However, if you’re looking for unique souvenirs, you might consider buying a piece. Learn about Appalachian crafts at the most popular stop on the Blue Ridge Parkway. Established in the 1890s, the Folk Art Center has been an important institution in the recognition and preservation of folk art in the region. It housed the Southern Highland Craft Guild, and offers visitors displays of traditional and contemporary crafts. The centre includes exhibitions, a book store, and a craft store that boasts being the oldest of its kind in the United States. From March to December, the centre also holds special craft sessions, and daily craft demonstrations to amuse and educate visitors. where? 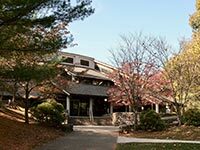 The Folk Art Center is located at milepost 382 off the Blue Ridge Parkway. It is a mere 13 minute car ride from Downtown Asheville. If using public transit, take lines 170 or E2 to the Tunnel Rd at Reddick Rd stop. when? The centre is open daily year-round, closing only on Thanksgiving, Christmas, and New Year’s. Hours of operation are 9:00am-5:00pm January to March, and 9:00am-6:00pm April to December. £$€¥ Entrance to the Folk Art Center is free of charge for the general public. Any expenses incurred will likely be at the gift shop.